Learn how to set a password to your digital magazines. So you want to keep your flipbooks safe and password protect them. No worries, as you can easily do that with Flipsnack. 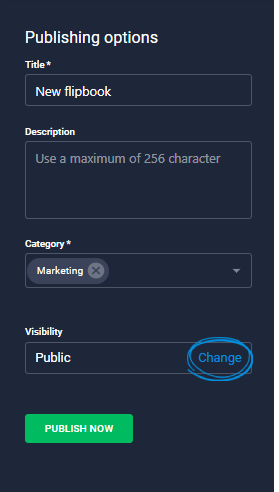 In order to add a password to your flipbook, simply click on Change above the Publish now button to open the Visibility overlay. In the new overlay, click on the first tab and select Password Protected. 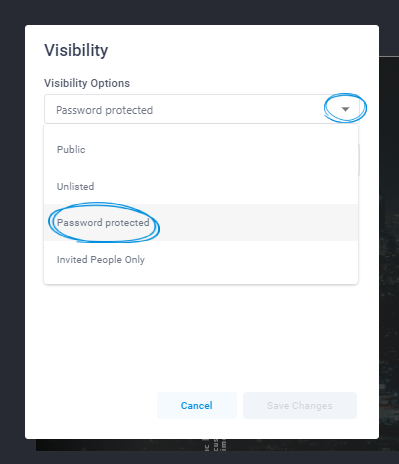 After you select the Password protected option, add your password, Save Changes and publish the flipbook. "What if I forgot my password?" you might be wondering. 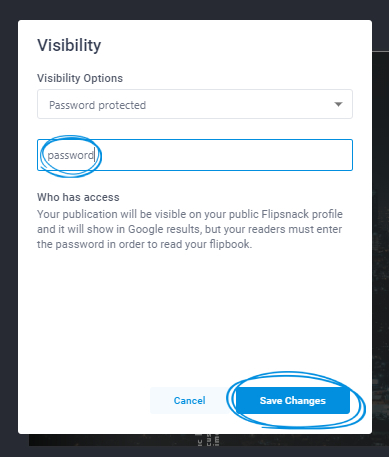 Fear not, you can always find the password of your flipbook by logging into your Flipsnack account, going back to Publish and select to Change the password. More about Invited People Only.